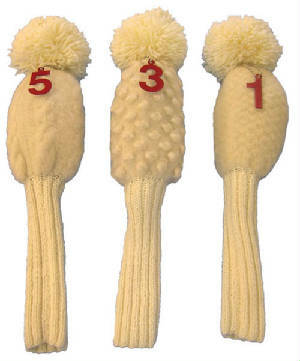 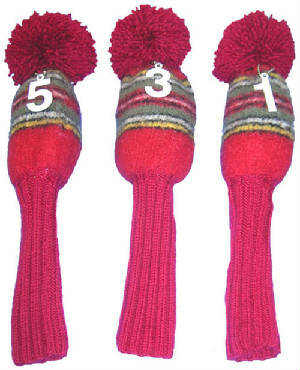 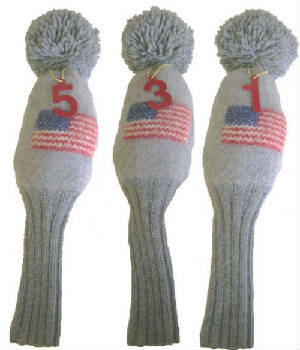 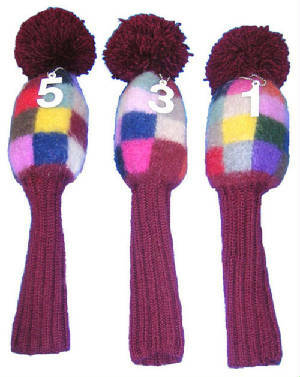 This page shows the exclusive hand knit golf club covers. 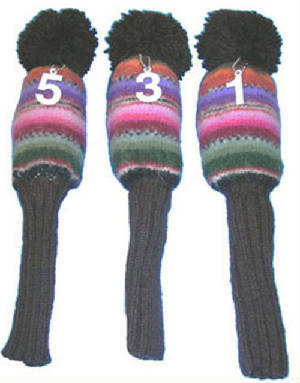 Knit kits for selected golf club covers are available, and include free patterns. 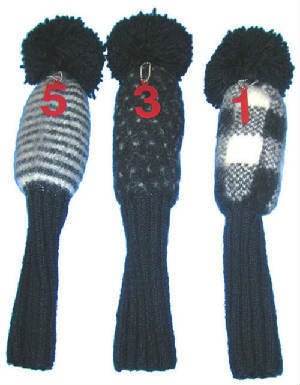 This set is also available as a kit.